Dental anxiety is a condition that we commonly see at our family dentistry in Edmond, Oklahoma. 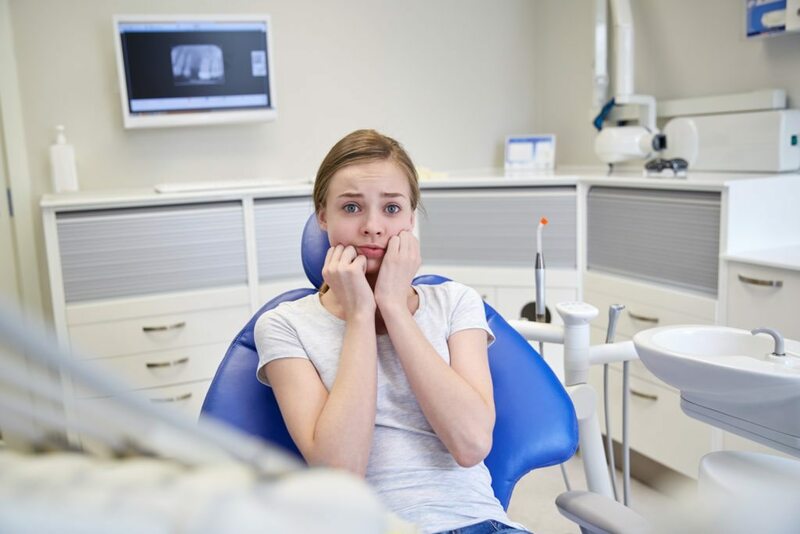 Dental anxiety elevates from a simply preference to avoid the dentist to a phobia when it starts having a significant impact on a patient’s well-being. For example, people who suffer from dental phobias are more likely to have untreated cases of tooth decay and missing teeth. These people also report a decrease in the quality of their lives, as caused directly by their poor oral health. To determine what impact dental anxiety has on an individual’s long-term oral health, researchers from the King’s College London Dental Institute conducted a new study that examined data collected as part of the Adult Dental Health Survey. Researchers examined the survey’s data to determine what common oral health problems were exhibited by patients who suffer from dental phobias. The data was comprised of over 10,000 participants, with more than 1,300 identified as phobic. In this group, 344 were male, and 1,023 were female. The results of the study found that the participants who suffered from a dental phobia were more likely to have cavities and one or more missing teeth when compared to those who did not have a dental phobia. Researchers suggest that the higher rates of tooth decay and missing teeth were because many people with dental phobias avoid seeing a dentist regularly to address oral conditions that are preventable and chronic. Once a visit has been made, the phobic patient also might opt for a short-term solution to their problem rather than undergo a long-term treatment option, such as a tooth extraction. “The correlation between those with missing teeth and dental phobia could be the result of treatment decisions made when the individual with dental phobia finally seeks treatment. Both patient and practitioner may favor extraction of the tooth rather than booking a number of appointments to complete a restoration,” states Dr. Tim Newton of the King’s College London Dental Institute. The study also examined how dental phobias impact an individual’s quality of life, physiological, social, psychological, and emotional well-being. The patients examined in the study also exhibited higher levels of impact in these areas, even when levels of dental disease were successfully controlled. Researchers also noted the dramatic difference in the number of females versus males that identified as suffering from a dental phobia. While the reason behind this discrepancy remains unclear, researchers did speculate that it may be due to men being more reluctant to discuss extreme fears during the self-reporting process. Researchers also speculated that biological factors such as high levels of cortical arousal, which lead to an increased vigilance and awareness in regard to fear stimuli, may also play a role. Overall, the findings of this study have further implications for preventative dental care for patients suffering from dental phobias. By providing these patients with a detailed oral hygiene program to follow at home, oral health practitioners could lower the number of patients that suffer from higher rates of dental decay and disease through preventative measures. The King’s College London Dental Institute is currently in the process of creating a program to help patients suffering from a dental phobia, focusing on steps that can be taken to help them avoid common oral health problems at home. While visiting our family dentistry in Edmond, Oklahoma may not rank highly for some of our patients, regular preventative care plays a vital role in protecting your long-term oral and overall health. If you suffer from a dental phobia, our team of gentle and compassionate dental hygienists will work with you to help ease any feelings of stress or discomfort you may experience while at our office. From walking you through each treatment procedure in advance to sedation dentistry, our team will help find a way to give you the care you need in a comfortable and relaxing environment.